April Wiggs is the Chief of the Enterprise Project Services Division in the Department of Technology Services at the Administrative Office of the United States Courts (AO). Ms. Wiggs currently works with AO senior leadership, IT project teams, and program offices to provide enterprise-level Information Technology Project Management (ITPM) strategic direction and insight on key IT project deliverables, business outcomes, and product management. Wiggs spends time working with the Circuit Unit Executives and IT Directors of the 94 Federal Judicial District and Bankruptcy Courts on Agile project management and has also been a guest speaker on IT Governance and Agile Project Management topics at Circuit IT Conferences; Federal Court Clerks Association (FCCA) Conference; National Conference of Bankruptcy Clerks (NCBC); and Court Unit Executives Operational & Administrative Conferences. 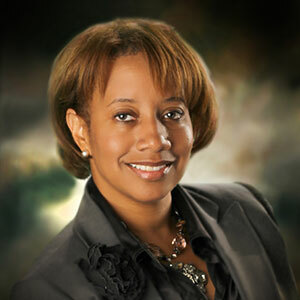 Prior to joining the AO in 2009, Ms. Wiggs worked in the private sector for 20 years in several leadership roles and was the Assistant Vice President of Program Management for a Data Integration Company where she led their IT data management and mapping software initiatives. She also spent most of her IT career in the Telecom industry, where she also had the opportunity to lead an IT Data Management team and received a Circle of Excellence award for 99.9% accuracy of a large complex data migration. Ms. Wiggs holds a Bachelor of Business Administration from Howard University School of Business in Finance, a Master of Science degree in the Management of Information Technology (M.S. in MIT) from the University of Virginia, McIntire School of Commerce and is a graduate of Carnegie Mellon’s Executive Education Program with a Chief Information Officer (CIO) certificate. She also served for 9 years on the McIntire School of Commerce’s M.S. in MIT Advisory Board until 2017. Ms. Wiggs also earned her Project Management Professional (PMP), IT Infrastructure Library (ITIL), and Scrum Master certifications. In her spare time, Ms. Wiggs pays it forward and gives back as a guest speaker to students enrolled in George Mason University’s Department of Health Administration and Policy’s Health Informatics Program. In 2018, Wiggs prepared and completed her first Spartan Sprint Race, which is a series of obstacle races of varying distance and difficulty. It’s a way of life and as a “Spartan Finisher”, you can’t have a strong body without a strong mind.